The six year-old FirstCaribbean International Bank has announced its first leadership change with CEO, Charles Pink stepping aside to be replaced by John D. Orr, a FirstCaribbean Board member and a senior CIBC executive. Pink has been CEO of FirstCaribbean since its formation in October 2002, when CIBC and Barclays merged their respective Caribbean banks. Under his leadership, the operations of the two founding partners were successfully merged and profits increased strongly during this period. Orr, who will take over as CEO in August, has been with CIBC 13 years and is currently executive vice president and managing director, head of International Retail Banking and deputy head of Corporate Development at CIBC. 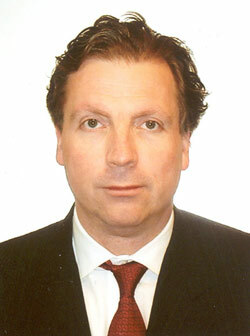 He has also served as CEO of Amicus Bank, which has more than 2.1 million retail banking clients across Canada. In addition to being a member of the board of directors of FirstCaribbean, he sits on numerous other corporate and community boards including CIBC Bank and Trust Company (Cayman) Ltd. and CIBC Trust Company (Bahamas) Ltd.